Is full Second Avenue subway just a cruel joke? The Second Avenue subway is right on schedule. By that we mean it's once again delayed, which is pretty much the norm for the long-awaited expansion. The story of the Second Avenue line tracks the 20th century: proposed at the end of the Jazz Age, delayed by the Depression and war, stymied by the city's fiscal woes in the 1970s, ground broken again and again and again. Now in the 21st century, we have a chance to finish this necessary job. The first phase of the project, which will bring the Q line north to 96th Street, is set to be complete by the end of 2016. But when the MTA approved its $29 billion 2015-19 capital plan last week, it cut $1 billion from phase two, which is supposed to extend the new line from 96th Street to 125th Street in East Harlem. The remaining $535 million for the project will be devoted to pre-construction work, with tunneling on hold until after 2019. The announcement was met with expected uproar from local politicians bemoaning the unexpected delay. The Second Avenue subway was at the heart of the capital plan funding controversy this summer, when MTA chairman Thomas Prendergast urged Mayor Bill de Blasio to increase the city's financial commitment, partially to fund phase two of the project. De Blasio eventually kicked in $2.5 billion to go with the state's $8.3 billion. 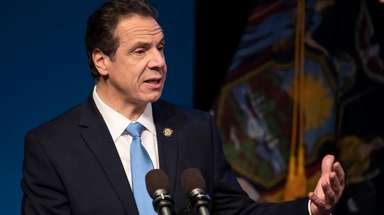 Only then, when the MTA did its final trims to close a funding gap, the agency said, did it become clear that there was still too much pre-construction work to get to the actual tunneling for the northern section before 2019. So the MTA cut the tunneling funding rather than tie it up unnecessarily. While this might be the only logical move now, it does feel like the city paid for something it's not getting very soon. We understand that it's difficult to build subways in NYC, and post-facto yelling about funding won't get the tunneling equipment underground any faster. It's not a question of building the subway and waiting for the East Side to come alive; everyone's already there. And waiting. This is a project that's nearing its centenary. And that is just too long.